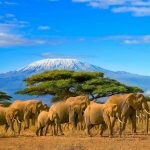 Experience the beauty of ‘The Pearl of Africa’ and some of the highlights of the country on this ten day safari. 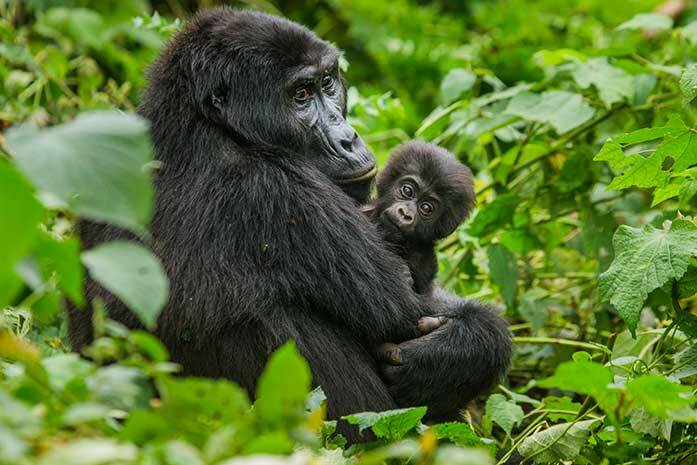 Visit the Mountain Gorillas in Bwindi Impenetrable Forest National Park, track chimpanzees in both Kibale National Park and Kyambura Gorge, and enjoy game drives in Queen Elizabeth National Park with its wide array of wildlife, including the famous tree climbing lions. 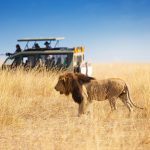 Luxury accommodation, professional guides and custom made safari vehicles – this safari will be the trip of a lifetime. Upon arrival at Entebbe Int’l Airport, you will proceed to clear with immigration and customs procedures. Thereafter, you will be met by a driver just outside the baggage area and transferred to The Boma Guest House (normal check in time is at 1400 hours), the remainder of the day at your leisure. Accommodation: Standard BB Boma Lodge . 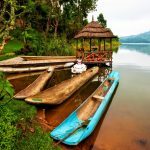 Early breakfast transferred back to Entebbe Airport for your morning Aerolink schedule flight departing at 0745 hours or 1245 hours to Kihihi – upon arrival at 0930 hours or 1355 hours you will be met by a driver-guide and transferred to the lodge, check in, lunch. Afternoon at your leisure, you may opt for a community visit (optional, extra cost). 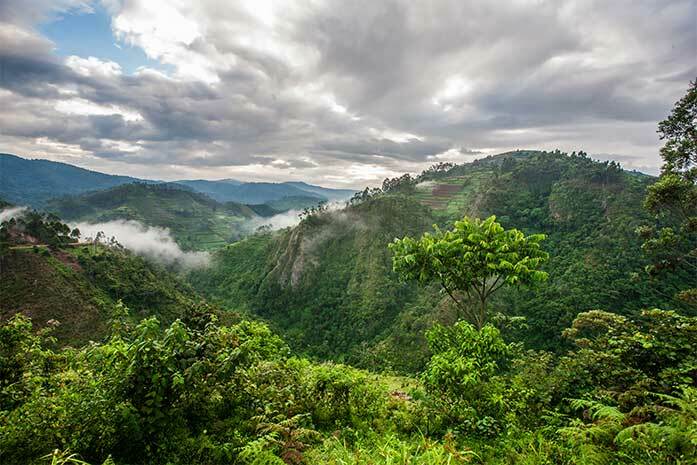 Today you set off on your Uganda gorilla tracking adventure in the Bwindi Impenetrable National Forest Reserve – home to half of the world’s total mountain gorilla population. While trekking through the dense forest you’ll have the opportunity to view the mountain gorillas in their natural habitat. 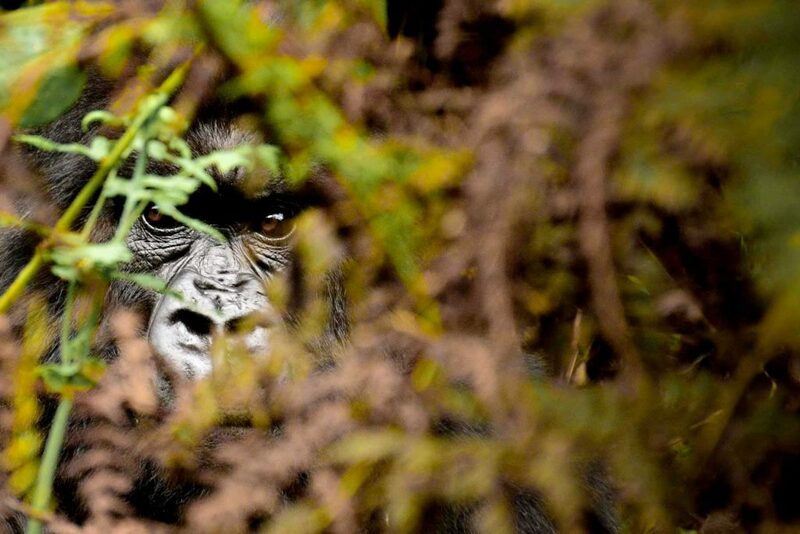 Looking deep into the expressive brown eyes of the Gentle Giants of the Bwindi Impenetrable Forest National Park surely is the most exciting and poignant wildlife encounter that Africa has to offer. After this captivating and unforgettable experience, you will head back to your Uganda safari lodge. Today, after breakfast, you check out and drive to the vast Queen Elizabeth National Park. Check in at Mweya Safari lodge for lunch, late afternoon game drives returning to the lodge before dusk for dinner and overnight. Another day in the park with early morning and late afternoon game drives – enjoy an afternoon schedule shared boat cruise on the Kazinga channel – takes approx… 2 ½ hours. Late game drives returning to the lodge before dark for dinner and overnight. 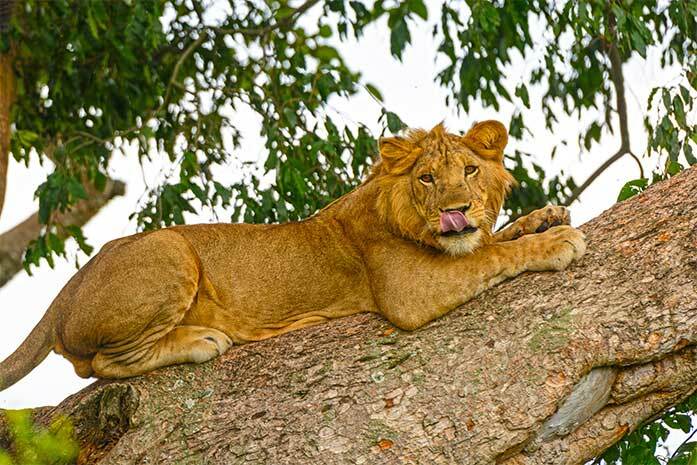 After breakfast, you will continue with your adventure, after a brief stop at the Equator, drive via Kasese and Fort Portal to Kibale Forest arriving for lunch at the Primate Lodge. Rest of the afternoon at your leisure. 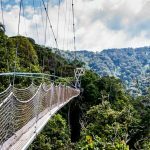 Normal Trek; after breakfast, you are transferred to the park headquarters for registration, enter the forest in search of the cheeky chimpanzees, return to the lodge for lunch. Habituation; an early breakfast, you will be transferred to the Kanyanchu visitor’s center to attend the morning briefing on Chimpanzee Habituation. From here, you depart with a ranger (could be 2 or more, max clients allowed 12 pax) will lead you through the forest as they search for the troop of chimpanzees. On sighting the chimps, you will spend time with them, following them up to their nests and etc. You will have packed lunches, and the return to the lodge will be late in the evening approx… 1800 hours. Accommodation: 2 nights Primate Lodge Luxury Cottages LDBB. After breakfast, you will drive back to Entebbe via Kampala. Lunch on own account, drop off at the Entebbe Int’l Airport for your onward flight (book flight departing at 1600 hours onwards). 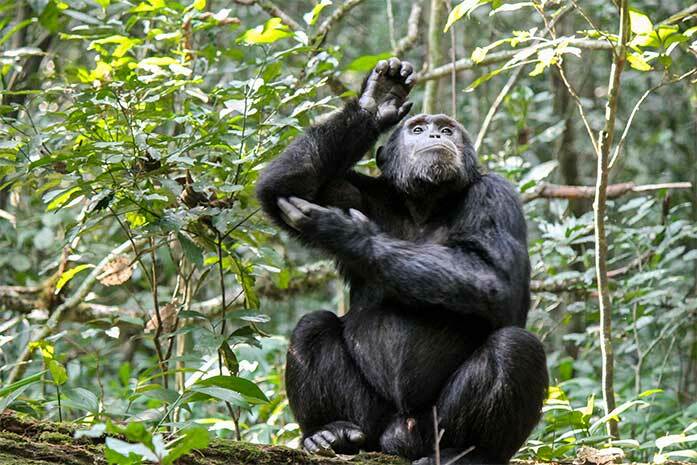 Primate Lodge in Kibale is an exclusive eco-lodge situated in the heart of Kibale Forest National Park. It is surrounded by a lush tropical forest that is home to 13 different species of primates, including the chimpanzees. Privately secluded in the rainforest, this safari lodge offers you a truly authentic jungle experience and is the perfect gateway for tracking the primates in Uganda. 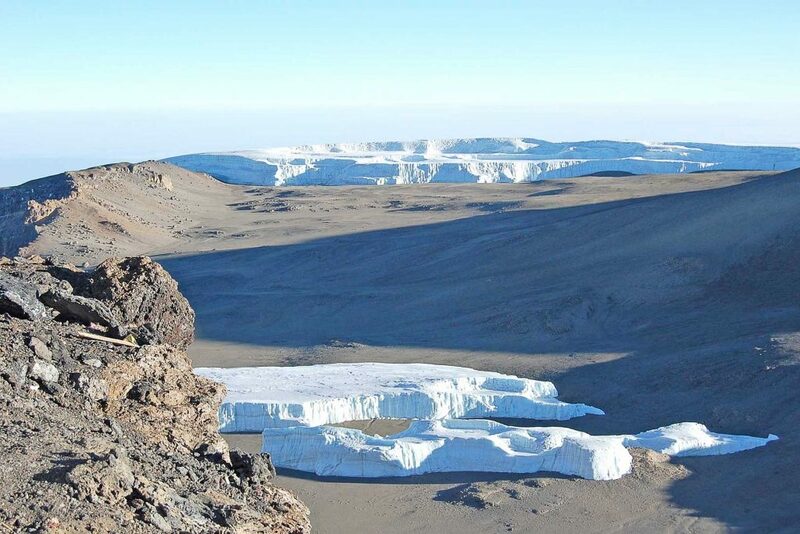 Whether you wish a high level of comfort, rather stay in a midrange cottage or want to bring your own tent, Primate Lodge is the ideal place for you! So forget about rushing for the morning chimp tracking. Instead, wake up with the sounds of the forest, enjoy a delicious breakfast and prepare yourself for an exciting meeting with the chimpanzees!